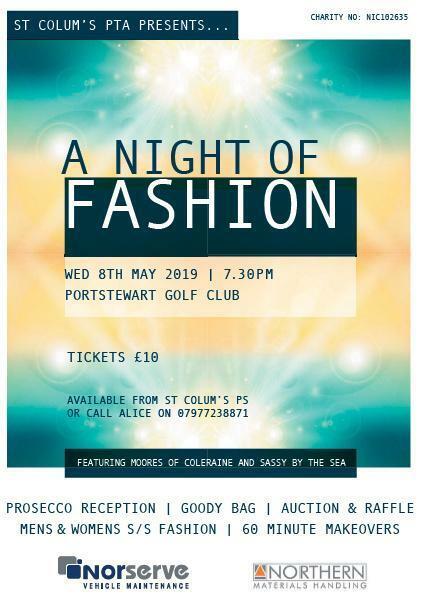 Join us for A Night of Fashion on 8th May in Portstewart Golf Club. Prosecco Reception on arrival, latest trends from Moores of Coleraine and Sassy by the Sea and 60 minute Makeovers. Tickets cost £10 and can be reserved at the school office, Telephone 02870833010.